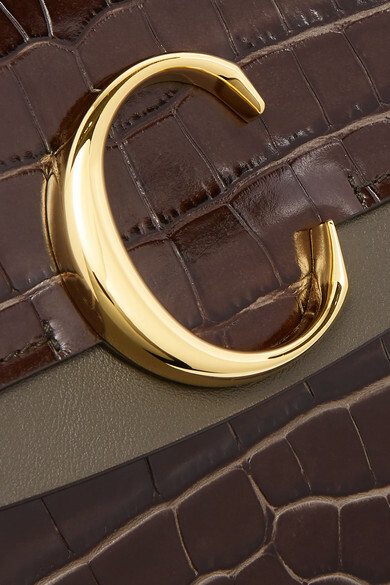 As soon as we spotted Chloé's 'C' bag on the runway, we knew it would be a hit. 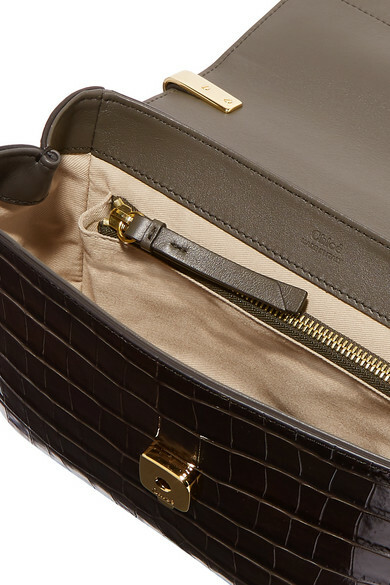 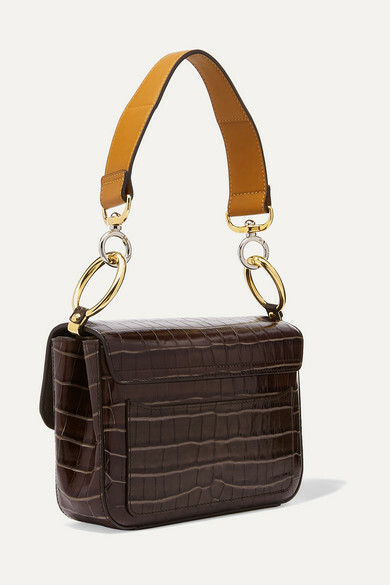 Crafted in Italy from croc-effect leather, this dark-brown version is accented with gold-tone hardware and suspended from a ring-secured handle. 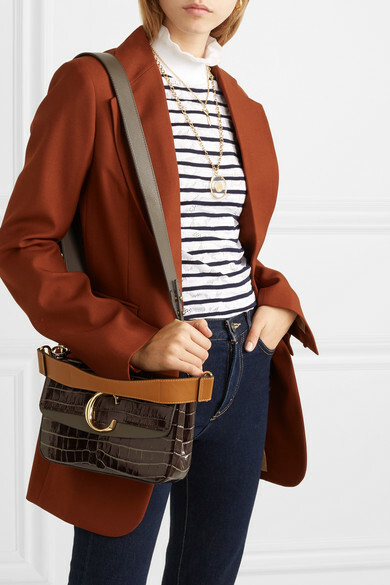 Use the adjustable shoulder strap to carry it cross-body. 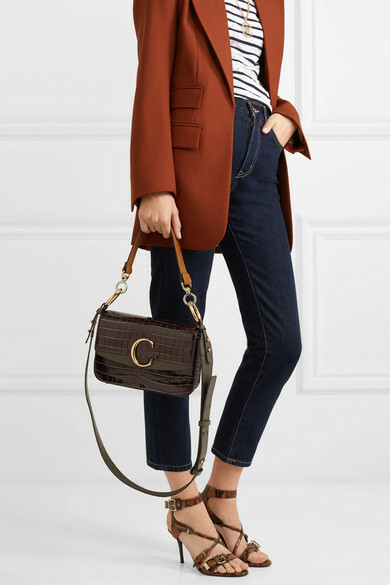 Shown here with: Chloé Blazer, Current/Elliott Jeans, Chloé Sweater, Chloé Sandals, Sophie Buhai Earrings, Chloé Choker, Chloé Necklace, Chloé Necklace.